As Internet use is practically ubiquitous the world over, the term “Internet of Things (IoT)” has entered our societal lexicon. Whether or not you know this term, the IoT is a pervasive part of daily life. 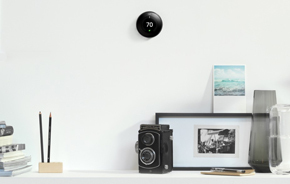 For example, if you own a Nest thermostat or have received a targeted email while being in proximity of a certain store, you are being affected by the IoT. Simply put, the IoT is the art and science of connecting our everyday objects through a wireless medium, such as RFID tags, sensors, and smartphones. On a conceptual level, the IoT could not exist without a key concept of GIS: geo-location, or the identification of the real-world geographic location of an object. As geo-location techniques and devices become increasingly sophisticated, so too will their application to the IoT. While one may think of the IoT with regard to marketing, transportation logistics, and urban planning, there are many ways the IoT is being used in environmental and sustainability endeavors. In addition to the fact that deforestation accounts for a substantial percentage of all global carbon emissions, there is a thriving market for illegally cut timber. Conservation organizations like the Rainforest Connection are employing IoT projects to combat illegal logging. Sensors from old cell phones are attached to trees to allow for detection of illegal logging; sensors listen for certain sounds associated with illegal logging, such as the sound of chainsaws or vehicles in unauthorized areas. Once alerted to the presence of illegal loggers, authorities can be deployed to these sites to stop illegal logging in real-time. Similar approaches have been adopted to curb poaching in Africa. One particularly interesting IoT approach is used to preserve rhino populations. Project RAPID equips rhinos with three connected devices: a camera, heart rate monitor, and GPS tracker. These devices, used in tandem, allow for wildlife preservationists to detect when the animals are in distress, track their movements, and obtain video footage of poachers. While IoT projects and technologies with the primary goal of addressing sustainability are crucial, an even greater impact can be achieved through the prioritization of sustainability goals within commercially-driven endeavors. With profit being the primary goal for most IoT endeavors, any positive sustainable impact is almost by accident as stakeholders do not see a direct link between their projects and sustainable development goals. Thus, it is necessary to change the thinking of IoT stakeholders to prioritize sustainability goals in their design. If applied thoughtfully, IoT can maximize social impact while still maintaining or even increasing commercial value.